Team Adafruit is Going Bowling Tonight! « Adafruit Industries – Makers, hackers, artists, designers and engineers! Team Adafruit is Going Bowling Tonight! The Adafruit team is going bowling tonight! We hit some major company goals in the last year and will be celebrating tonight with a bowling party. 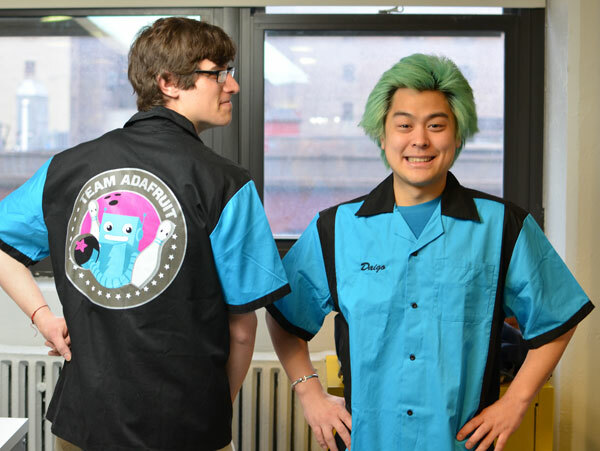 Check out our fashionable shirts with Adabot bowling logo designed by Bruce Yan! The only shirt Phil owns that is not black.